On doing my morning walk this Sunday in Houston, I was listening to "All Classical Portland" and heard this wonderful sonata for Horn and Piano by the master Beethoven that I had heard for the first time. Very peaceful and soothing I think for a Sunday morning, so I wanted to share it with you. It is scored in F Major with 3 movements: 1. Allegro moderato, 2.Poco adagio, 3.Rondo - Allegro moderato. 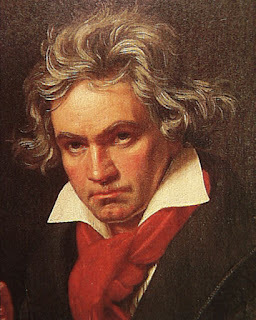 Please turn up the volume and relax and enjoy some soothing Beethoven.